At least three tornadoes have been confirmed to have struck Alabama during a weekend of violent weather across the Southeast. The National Weather Service plans to continue to survey storm damage today. One tornado was confirmed to have struck Shelby County with a preliminary rating of EF-0 and winds topping out at 76 mph. That storm was blamed for significant roof damage to homes and for damaging several trees. Two additional tornadoes were confirmed to have struck Franklin and Colbert Counties. The National Weather Service in Huntsville plans to survey storm damage in those areas today. Birmingham meteorologists plan to survey potential tornado damage in areas of Tuscaloosa, Hale, Etowah and Pike Counties. Elsewhere in the Southeast, NWS survey teams found evidence of an EF-3 twister with winds of at least 136 mph near Weches, Texas. Two other smaller tornadoes also touched down in the same region Saturday. Another EF-3 twister flattened part of Franklin, Texas. 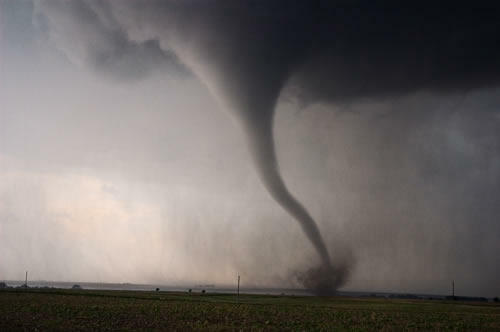 The system then moved eastward into Mississippi, where the weather service says teams have confirmed eight tornadoes. The weather says the numbers will likely go up as teams continue to assess damage.